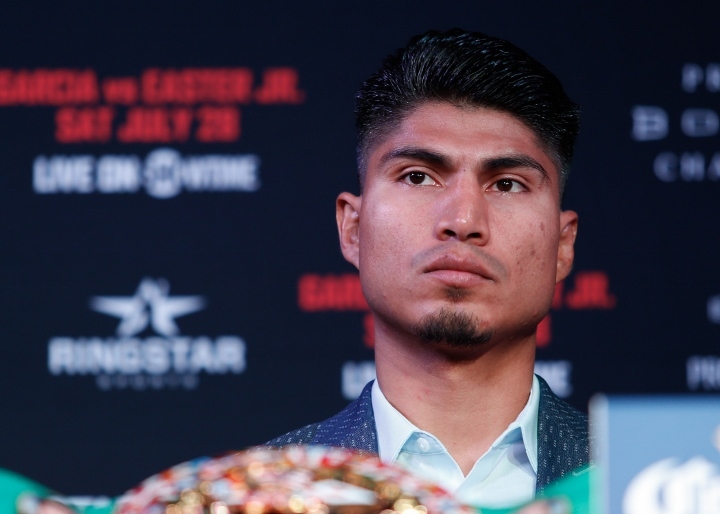 Four-division champion Mikey Garcia and IBF welterweight champion Errol Spence are “making sure that everybody knows that we’re clean fighters” by being randomly drug-tested by the Voluntary Anti-Doping Association (VADA) over a 10-week period in advance of their 147-pound clash on March 16 at The Dallas Cowboys’ AT&T Stadium in Arlington, Texas, on Fox Pay Per View, said Garcia. VADA testing is expected to begin on January 5 for the 28-year-old Spence (24-0, 21 KOs) and the 31-year-old Garcia (39-0, 30 KOs), the latter of whom is making his 147-pound debut in pursuit of a fifth crown in as many divisions against “The Truth” Spence. Garcia began training two weeks ago with strength and conditioning guru Victor Conte at his Scientific Nutrition for Advanced Conditioning (SNAC) facilities in San Carlos, California, an organization that supplies legal sports nutrition products and supplements. An advocate for VADA, Conte spent four years helping athletes to circumvent Olympic-style drug testing policies until BALCO was raided in 2003. Conte served a four-month prison stint after pleading guilty to orchestrating the distribution of illegal performance-enhancing drugs to athletes in some professional sports. But since his release in March 2006, Conte has gone legitimate with SNAC. “We thought that for a lot of athletes who are either using or unknowingly using, that in order to help the situation, let’s go ahead and enroll in VADA,” said Garcia.